In the wide world of ornaments, there are so many different kinds to choose from, it could easily be overwhelming. When purchasing specialized ornaments, keep in mind that most ornaments come with an area where a photograph can be affixed. Having a photograph of a newborn to affix to your gift ornament is easy assemble. 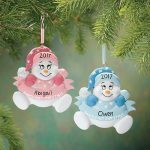 In that same vein, celebrating a couple’s first Christmas with an ornament complete with the year and a photograph, quickly becomes a favorite keepsake ornament. Where, Oh Where Can My Ornament Be? There are some very good sites on the Internet to find some very unique and one-of-a-kind holiday ornaments. There are boxes of ornaments, there are individually wrapped ornaments and there are, simply one of a kind ornaments. 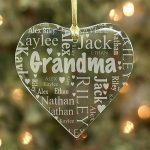 Very often, when browsing for ornaments on line, one can personalize the ornaments before they are shipped. Often it’s easy to forget the little things that go along with holiday keepsakes, or simple holiday gifts. Don’t forget to add as part of the gift ornament hangers. There are some ornaments that don’t require hangers but are coated wires that wrap around a tree branch. Most importantly, do not forget about storing your precious keepsakes. This critical element is often overlooked when purchasing keepsakes. An ideal storage container is a padded box, with cardboard dividers so one can stack multiple levels of ornaments.